At Donwood Glass, we pride ourselves on manufacturing high-quality glass products and providing an excellent level of customer service. We constantly strive to deliver the most efficient service levels for our customers and, as such, we are committed to continual investment in the best machinery available. 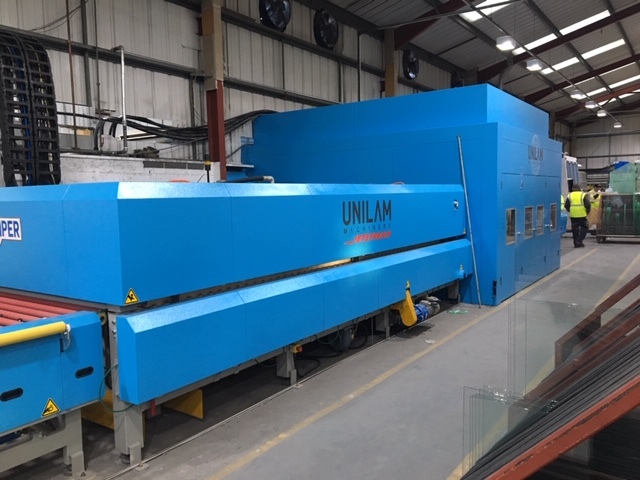 As part of this development plan, we recently upgraded to a brand-new glass toughening machine – allowing us to increase our production output by up to 40%, improving lead times and ensuring a quick, quality service for our customers. This latest acquisition follows a period of continued investment in new technology at Donwood Glass. Other recent investments include a 6-brush vertical glass washer and a cutting-edge compressed air system. These purchases reflect an ethos that we have followed for decades, a dedication to high-quality customer service. The success of this approach is reflected by the long-standing relationship we enjoy with many of our customers, some of whom have partnered with Donwood Glass for over 25 years. The acquisition of a new glass toughening plant comes during an exciting time for Donwood Glass. We look forward to sharing further successes with you very soon. Would you like to find out more about the range of products we offer? Contact our sales team, who would be delighted to help answer your query. Here at Donwood Glass we take your privacy seriously and want you to know that we'll only use your personal information to provide services you have told us you're interested in.